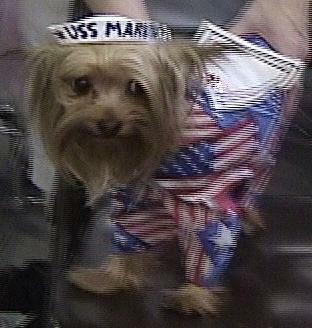 In July, the theme at Yappy hour was "Patriotic Pups." 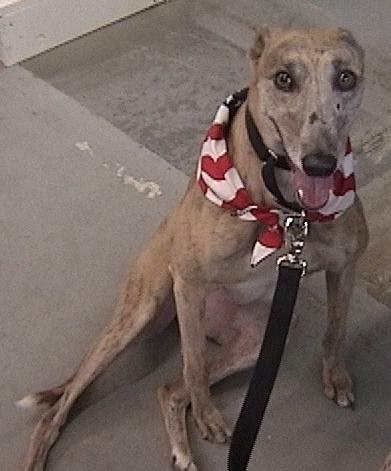 So Dingo wore her stars and stripes bandana. This is Coty and Dotty, two bulldogs who help raise awareness for boxer rescue. Here is Crystal & Charlie in their patriotic blankets. 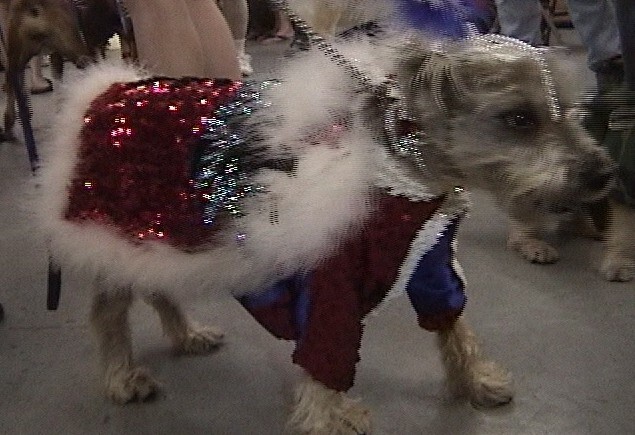 Here is a picture of the dog that won first place in the costume contest. This blurry picture is a snapshot of one of the other winners of the costume contest.